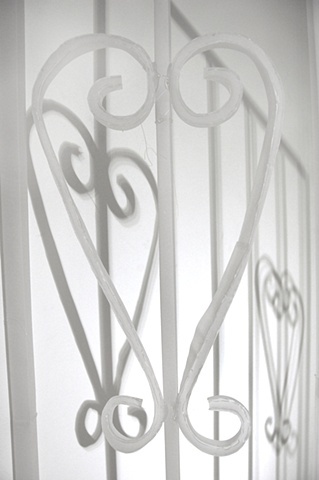 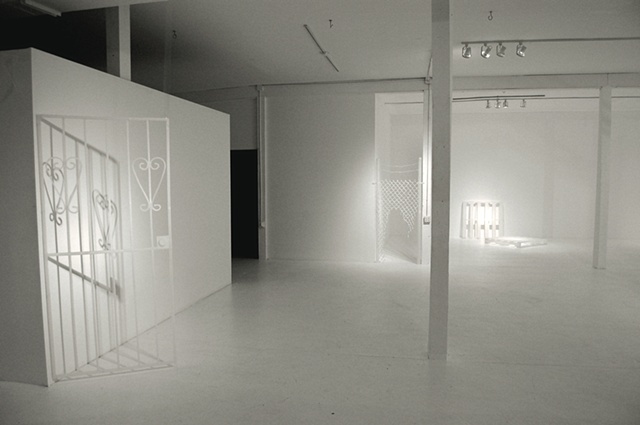 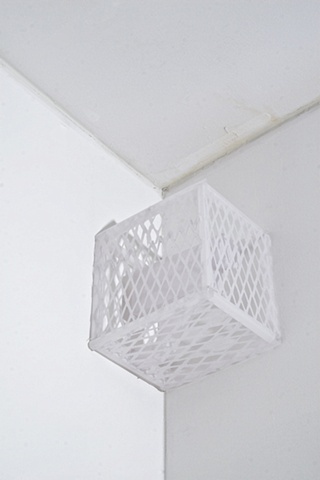 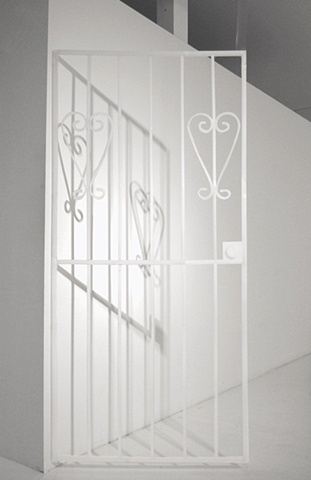 The installation I created at Gallery Diet consisted of everyday architectural details crafted in white vellum. 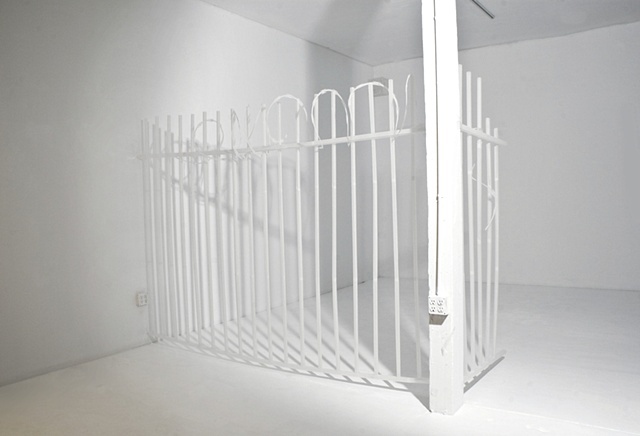 Drawing from the gallery’s immediate surroundings, the installation addressed the ways in which people and businesses in Wynwood build structures to protect themselves and secure their possessions. 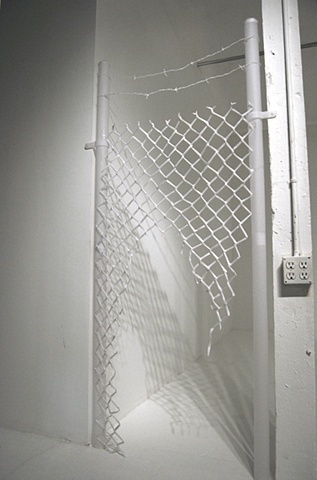 I wanted to point out how we tend to overlook vital and unusual elements that make up the urban environment. 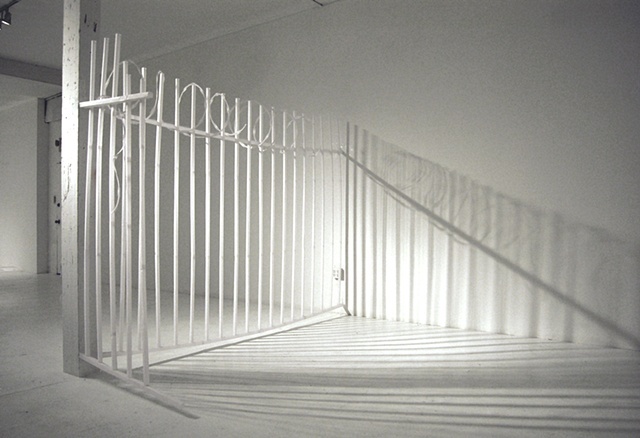 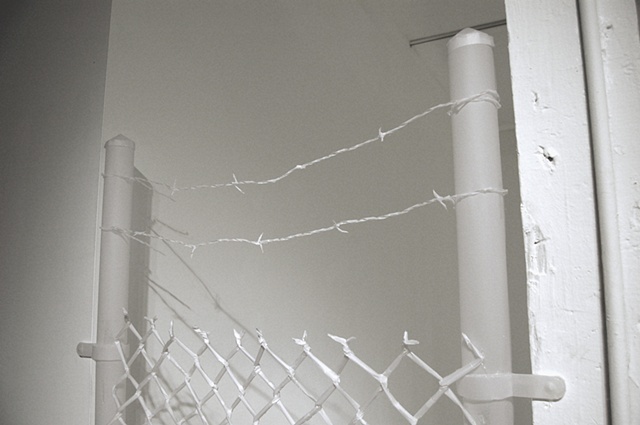 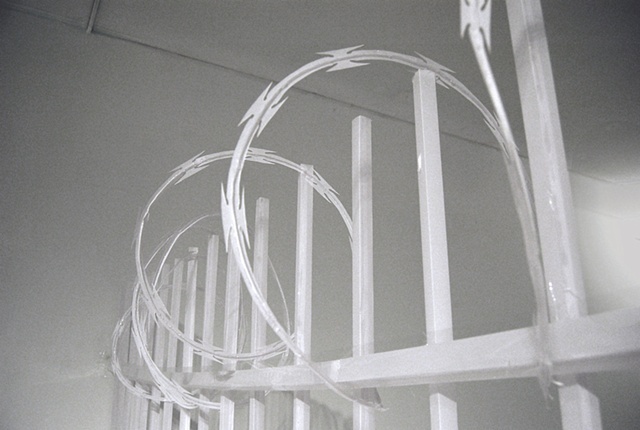 The installation consisted of barbed wire atop chain-link fence, a front door gate mimicking the gallery's front gate, a tangle of electrical cables sprouting from a column, a caged and locked surveillance camera, cinderblocks, wooden palettes, and the ruin of a scaffold that had collapsed. 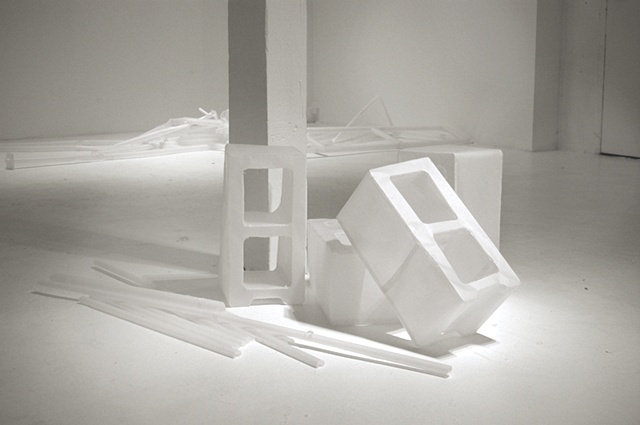 Each element of this ghostly installation was life-sized, and made entirely of paper, glue and tape. 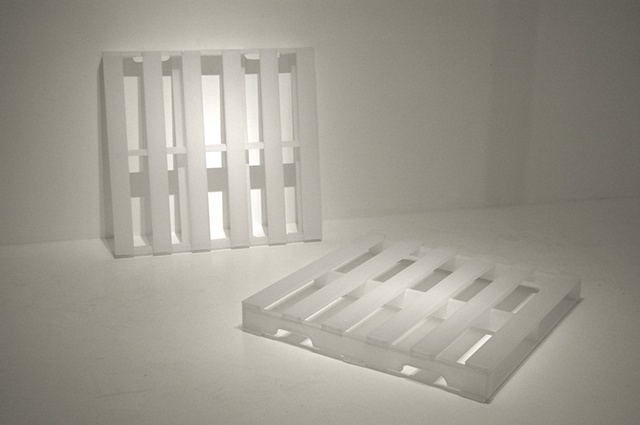 With this project I addressed the area's urban revitalization, drawing subtle attention to the dialectic of decaying urbania and newly built structures in Wynwood –a place where new condos and lofts are being built but not sold, warehouses are left to fall apart, lots lie vacant, and latent construction materials wait to be utilized.